StellarNet’s technicians are happy to help you with any questions that you might have. Check our software download page to get the most current software update. Before contacting us, make sure that you have had time to read the supplied instruction manual and view the Training Videos found on your USB stick delivered with your spectrometer. This will help you become more familiar with the software and various applications. The best way to get assistance is to fill out the form below. 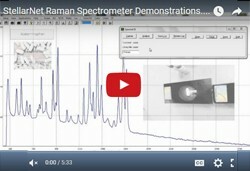 Be sure to include the spectrometer model you are using, its Serial Number, and what you are trying to measure. For quicker assistance you can send a direct e-mail to Support@StellarNet.us. Please attach “Print Screenshots” of your SpectraWiz Software displaying your item in question and also your software configurations settings “sw.ini” file found in the SpectraWiz directory. 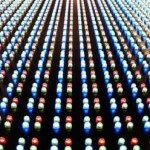 Any pictures of your experimental setup or other information you think may be helpful for our engineers is welcomed. 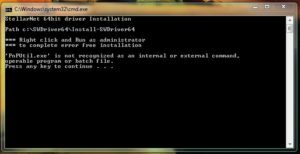 I have tried installing the SWdrivers.zip and SWdriver64.exe files and I get the following error: 'PnPUtil.exe' is not recognized as an internal or external command, operable program or batch file. Inspect fiber optic cable to make sure it is not broken. Make sure you are running the program as an administrator (right click-> Run as administrator). Running as administrator fixes 99% of all custom written software issues because it allows programs unlimited access to read and write to the C:\Program Files\StellarNet\SpectraWiz directory. Check to see if unit has power. Check to see if the cables are listed in the Windows Device Manager under USBDEV. Check to see if USB2EPP cable is firmly inserted in back of unit and USB port of computer. Close SpectraWiz and perform a reboot of USB driver using the following steps. Some GREEN-Wave models have obsolete electronics cards. ContactUs@StellarNet.us to learn about possible upgrades and solutions for your instrument. All modern StellarNet calibration files are shipped with the spectrometer on a USB stick as an executable self-extracting zip file. File names typically start with MyCAL and are dropped in the SWCals folder in the SpectraWiz directory. If your calibration is older than one year, we recommend that you call in and request to speak with an Applications Scientist about a re-calibration service. Annual calibrations are a good practice and healthy way to check up on your spectrometer system health. I saved my files in the SpectraWiz directory but I can't seem to find them! Delete the swref1 and swdark files from the SpectraWiz directory. My unit is not displaying the correct wavelength range. Ensure coefficients and interface parameters have been entered correctly. Make sure spectrometer is not running off of computer power (via USB cable). Turn zoom off by left-clicking to the left of the y-axis. Uncheck the Multiplexer option: Set-up è Spectrometer channels è Fiber Optic Multiplexer. I get a “Range Error” when in Irradiance mode. Back away the unit from the light source (if possible). My measurements don’t look right (using the R400 reflectance probe). Insert the end of the y-fiber with 6 fibers bundled into the light source. 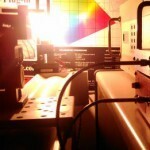 Insert the other end into the spectrometer (to get the most amount of light onto the sample). Block any overhead lights from the probe. Make sure the reference is not oversaturated. Back the light source away from the unit (if possible). I’m having difficulty with my port settings. We no longer support devices using parallel ports. Purchase our USB2EPP cable to run the spectrometer from USB-1 or USB-2 ports. 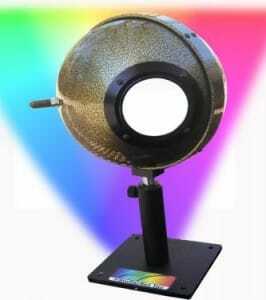 Is my Spectrometer calibrated for Irradiance measurements? A USB stick is sent with all calibrated units. Check your computer for a file called MyCal (with your unit’s serial number in the file name). Looking for the most current software update? Check our software download page. Use the form here and be sure to include the unit you are using (or supply the invoice number it was purchase under) and what you are trying to measure. If possible, attach a screenshot of the item in question and the file “sw.ini” found in the SpectraWiz directory. StellarNet’s technicians are happy to help you with any questions that you might have. Before contacting us, make sure that you have had time to read the supplied instruction manual, view the Training Videos found on the your USB stick and check out Frequently Asked Questions. We offer a variety of NIST traceable calibration services for our customers. StellarNet spectrometers are built rugged and often hold a calibration for many years! However, many customers prefer to get annual checkups and re-calibrations. This is a great way to ensure your system is maintained and the data you are taking is accurate. If you have questions or need a rush service, contact us today! IRRAD-CAL-Low Low-light level calibration to measure 10x lower intensity emissions. Please specify wavelength range needed. Certification document not included. Please Note: Calibration replacement file costs $125.00. 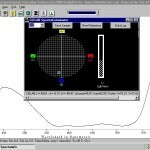 StellarNet offers a Spectrometer Evaluation Service (SES) which can accompany an RMA for possible required repair. Typically once a technical support inquiry is submitted to our website, a customer will receive a response within 24 hours (often sooner). Our technical support representatives will work with the customer to try and solve their issue. 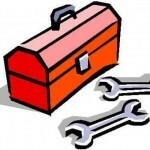 Sometimes there is an immediate diagnosis of problem and an RMA for repair is issued. Other times the technical support representative can not determine if the problem is based on StellarNet hardware /software or the customers own application. In these cases, an RMA may be issued with an SES for StellarNet engineers to evaluate the system for functionality at our facility. If they system is found to be working properly then a fee is charged and the unit is returned. If the system is determined to be faulty, then based on if the system is still under warranty or not, the evaluation fee may be removed completely or deducted from repair costs. "Hey Billy Bob! This spectrometer we found from back in 2002 ain't working right. I can't get the darn software to load and I am not sure where to stick the probe!?" StellarNet has been manufacturing rugged spectrometers to the worldwide market for over 20 years. We have many customers who find our general purpose spectrometers in their lab as "hand me downs". Companies may pass their spectrometer QC testing from employee to employee over the years OR some people may simply purchase our spectrometers second hand. Regardless if you have NO CLUE how to use the spectrometer sitting in front of you and you want some expert assistance, feel free to call us or fill out the form below and have some of our experts walk you through the system from start to finish. Spectrometers, light sources*, sampling accessories, and optical fibers & probes** are covered for manufacturing defects for one (1) year from the date of purchase from StellarNet. ** Fiber optics inherently are fragile and can break when dropped, bent or smashed, this is not covered under manufacturer’s defect warranty. Please check all fiber optic cables and probes when you receive them. We cannot honor claims for breakage after one week of customer receipt. Wizard-Care is an extended 1 year warranty package that offers an additional year of our manufacturers warranty to the life of your spectrometer. 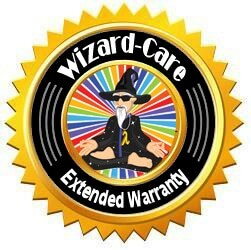 Additionally, Wizard-Care covers not only defects but also accidental damage to your spectrometer; giving you peace of mind with the SpectraWizard by your side. Have piece of mind with the SpectraWizard by your side!